The Old London range of concealed and exposed thermostatic shower valves brings substantial timeless elegance to the modern bathroom. 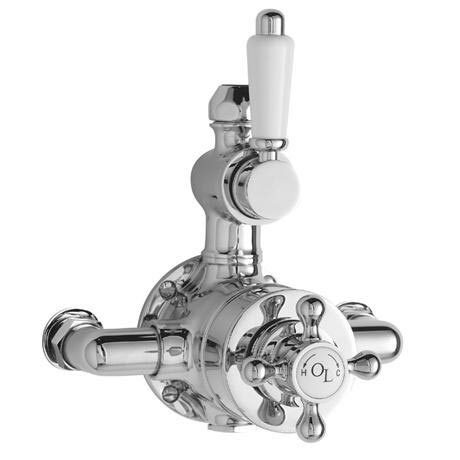 This Exposed Thermostatic Twin Shower Valve offers thermostatic showering via two easy-to-operate controls. The Traditional twin thermostatic shower valve is robust and graceful and this strength of design is equalled by the depth of choice of shower heads & kits. Separate controls for temperature and flow. Operates one shower accessory - rigid riser kit.